Some City of Takoma Park phone lines -- including the Library's -- are not working properly. If you call an office during Monday-Friday business hours and receive a continuous busy signal, please call 301-891-7100 and request to be transferred. Other city offices affected by the phone problem are: City Manager, City Clerk, Housing and Community Development, Finance, Information Systems, Recreation, and Communications. All Police Department and Public Works numbers are working normally. We apologize for the inconvenience and hope that our provider will resolve the problem soon! We offer these college orientation programs just once a year. This one is for adults, or almost-adults. 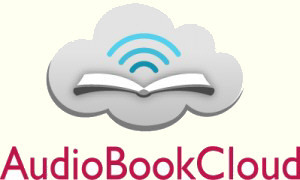 Over a thousand streaming, unabridged audiobooks, no waits, no holds, unlimited simultaneous access for our library patrons. You just need a device with an Internet connection and a browser with a fairly up-to-date flash plug-in. Headphones or speakers of course. The recordings are professional and come from some of the major audiobook producers. The emphasis is on classic literature, although you will also find non-fiction, children's books, and a substantial collection of books narrated in Spanish. Hint: If a book doesn't start up very quickly, close it and start it again. Don't sit around waiting. It should only take seconds to start. Little Pim is our language program for small children. Mango is our offering for adults and older children. Both are free for all our library cardholders. Start by learning a bit of Pirate. That will show you how Mango works and what to expect. Look for the extras such as grammar hints or cultural tips. Remember that you need to enter from our website. Bookmark our language page, not Mango itself. You can use Mango for English practice. In addition to the current 34 languages offered (we aren't counting Pirate), separate English lessons are available for speakers of 26 languages. Test to be sure your microphone is working. You may need to fiddle with your sound options. You then will see two rectangles, the top one "Narrator's Voice" and the bottom one "Your Voice". Click the top one, the narrator's sample, first. We don't know why. We just discovered that this didn't work for us if we went straight to the red record button. Then click on the red record button next to the bottom box (you may be asked to authorize recording the first time) and record your voice. Now you can flick back and forth, comparing your pronunciation with that of the narrator. Yes, we know this is embarrassing and awful. Just be sure no one else is about. You can replay the same page to try again, or go on to the next part of the lesson. Press record, say something to the mike, look at the green box. Anything happening? Select your microphone from the list. Say something and look for movement in the level indicator box. Did you find the red dot? Try it. If nothing is happening, look at the plug. You should be using the red/pink one for a microphone, not the green one which is for your speakers or headphones. Or, if it is a USB microphone, be sure it is plugged into a USB port. You may need to do this if you are switching back and forth between regular and USB microphones (don't ask). Windows has something similar in the control panel. Please experiment with these five online treasures. We are captivated, and hope you will enjoy them as much as we do. Little Pim: Online language learning for very small children. 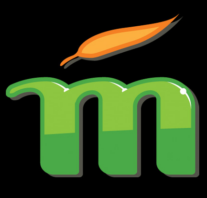 Mango: Language lessons for older children and adults. Tumblebook Library: Story books and more for children up through age 9 or so. Tumblereadables: Online e-books, primarily for middle and high students, large text and extra features. All require a more-or-less up-to-date version of flash and an Internet connection. They work just as well on Linux computers/pads as they do on Windows and Macs. — Everyone who donated books for the book sales, or came and bought them. — Everyone who gave donations directly to the Friends of the Library. — Everyone who played golf at the Morrisey Tournament or joined in the evening party. The Morrisey Tournament has been our biggest fund-raiser.